In its short life since it began in 2013, Bandstand Beds has grown from strength to strength, and this year it has really become established. 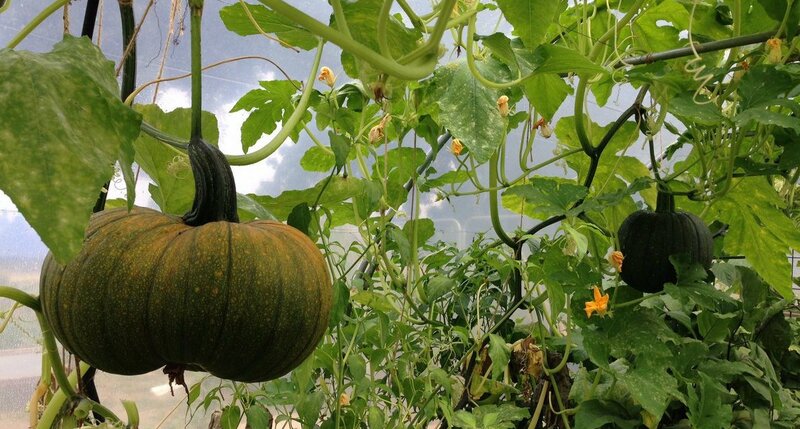 As well as looking after the beds at the Bandstand and The Spinney (opposite the nursery) it has been our first growing season in the new community garden on Windmill Drive. And what rich pickings there were! 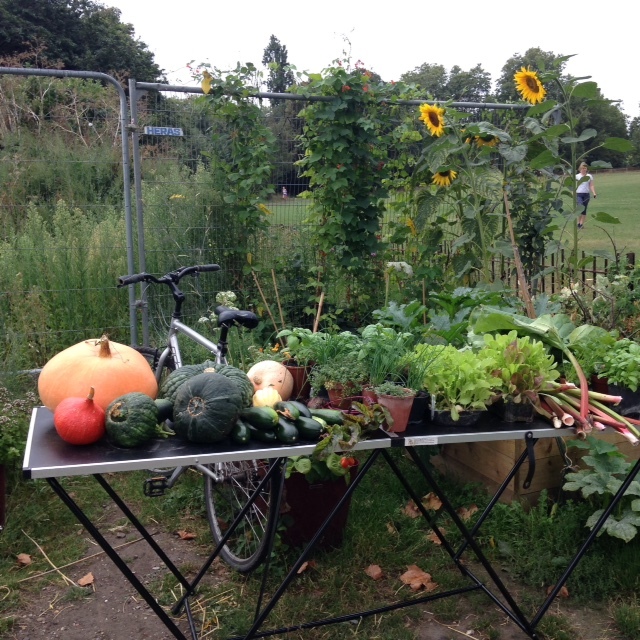 There was a plethora of fruit and veg picked and shared at our weekly sessions on the Common, or used for one of our regular summer picnics. 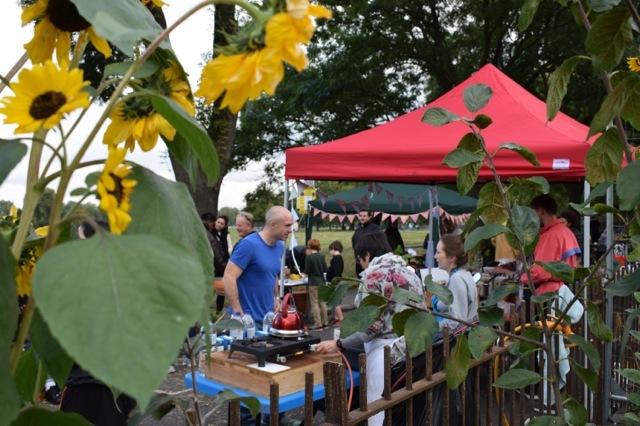 And anything that couldn’t be consumed immediately was made into pickles and jam and sold at events like This is Clapham’s summer fete or Christmas market to raise money for our future projects. 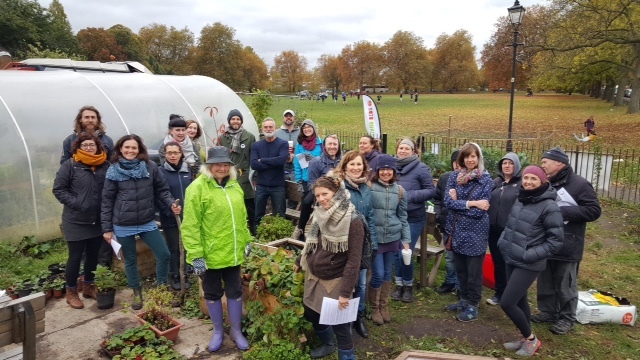 As well as our regular Saturday gardening sessions, our Awards for All grant enabled us to fund gardening workshops, including three run by Social Landscapes exploring organic methods of pest control, growing winter veg and composting. More than 20 people attended each of these, some of them travelling from as far away as Wimbledon to take part. They were so popular in fact that for some we had a waiting list. But don’t worry if you couldn’t join us this time, we’ll definitely be doing more in the future! We began the growing season with a Common People event at the Bandstand and rounded off, as always, with our autumn feast. We teamed up with The Spinney again this year, and held the event on Windmill Drive which was closed for the day. As well as our own produce stall on the road, we were joined by St Mungo’s, Edible Living and Dr Bike and the local police carrying cycle maintenance and security marking. And, as always, there was lots of delicious free food, cooked from our home-grown veg. At the feast, we were also joined by our friends from the The Thomas Poklington Trust, a group of blind people who walk on the Common on Saturdays and call into our community garden to pick up fresh veg. Their visits made us acutely aware of the need for some proper access pathways inside the garden. 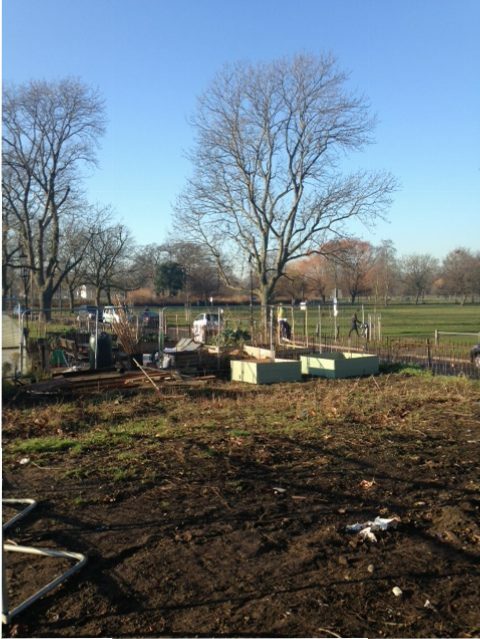 Through CCMAC we were able to secure funding Lambeth Council’s levy on large events on Clapham Common, and the pathways were installed in December. It has been a truly productive and exciting year for Bandstand Beds, and the 2017 looks to be even more promising. 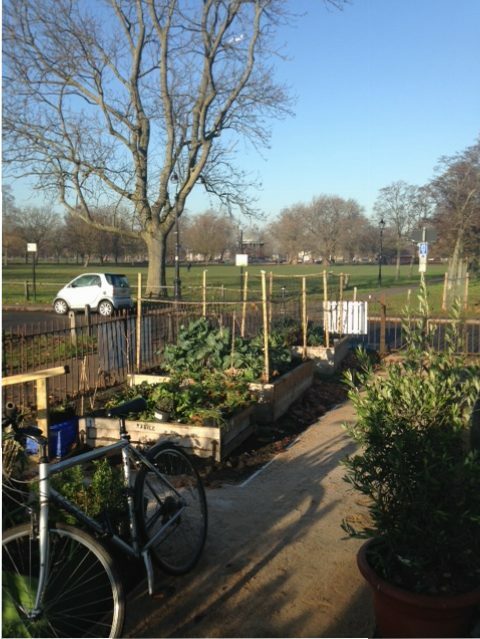 Due to the success and popularity of the community garden – Bandstand Beds membership has grown from 10 to 90 in the last year – Lambeth has agreed to allow us to reclaim more land on the green waste depot to use for food growing. 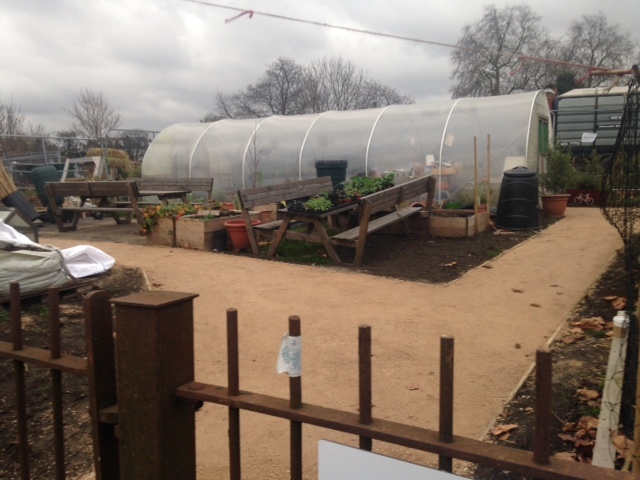 Lambeth have levelled some of the land for us, and young people form the The Prince’s Trust have cleared a corner of the plot and built two raised beds. We already have a new shipping container on order which will be used for storage and food preparation for the cooking workshops we plan to hold next year. The container has been bought with funding from the Clapham Bid and money we have raised through donations. But there is still much more to build and buy. All that we have achieved so far has been through volunteers, donations, and grant funding raised for the things we have needed to get the garden up and running. The next big challenge is to make the new patch of garden accessible for all and to enable further workshops on gardening and cooking to take place. We now have had the good fortune to be selected for the Tesco Bags of Help scheme which can make this happen for us! Bags of Help offers community groups and projects across the UK a share of revenue generated from the 5p charge levied on single-use carrier bags. The public will now vote in store from 2 to 28 January on who should receive the £5,000, £2,000 and £1,000 awards. 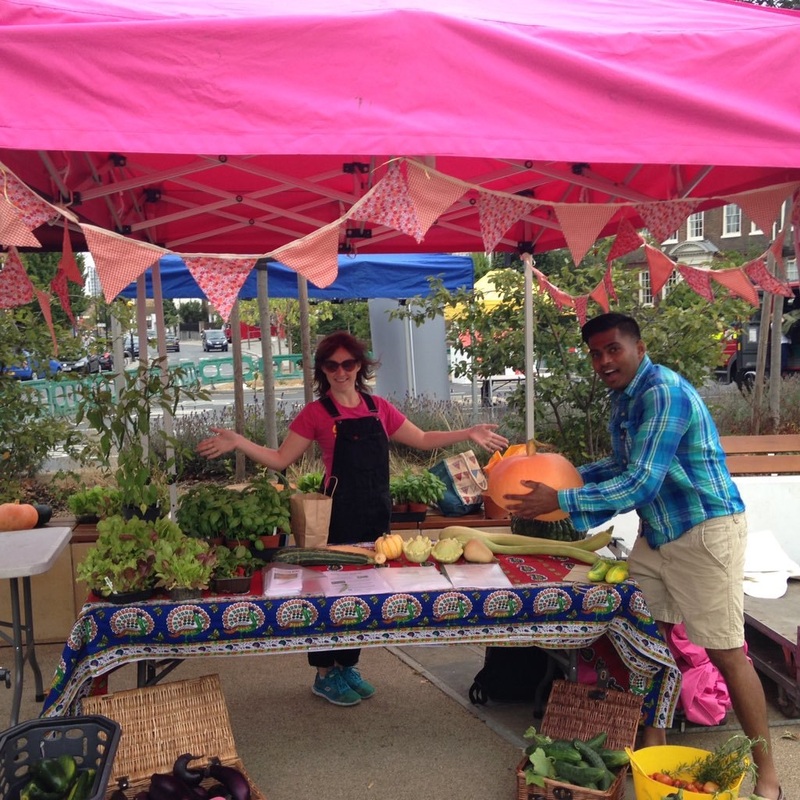 Please help make our garden grow by voting for Bandstand Beds each time you shop at Tesco!